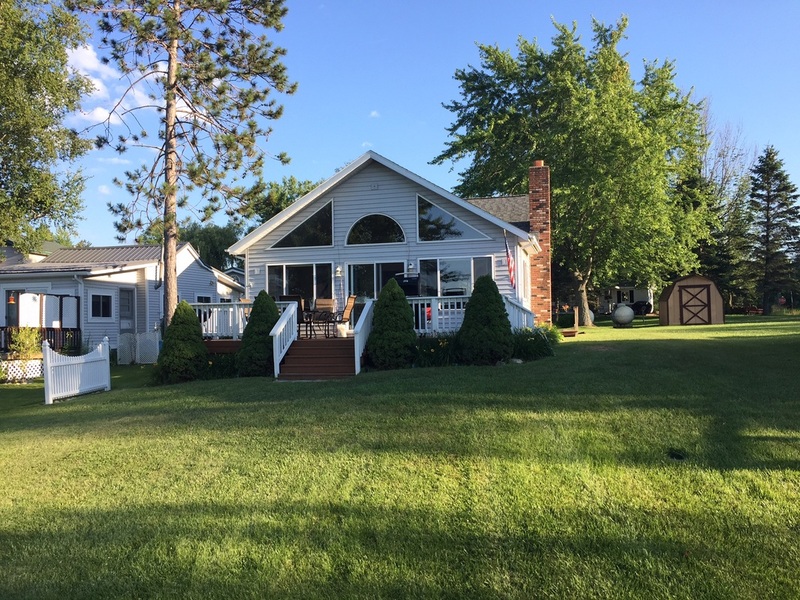 In the front of the cottage (lake side) is a deck to have your family dinners on. There is a BBQ grill. The deck descends to a big yard. At the water is a bon fire pit and a dock to fish off of.